New Delhi, Sep 24: Tourist footfalls from the US to India has grown from 14.57 million in 2016 to 15.54 million in 2017 and receipts increased from $22.42 billion to $27.36 billion. A total of 1,323 million international tourist arrivals recorded in destinations around the world in 2017, with India leading the growth in the South Asian region, according to data from the UN's tourism organisation. 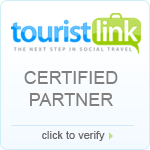 Indeed, this is good news for India because tourism is one of the mainstays of the economy. In fact, almost 300 leading tour operators from across the globe will be in capital later this month to participate in an event that focuses on marketing India as a destination. One Day they thought of to roam around the world, before which they started finding out the thoughts of common people about traveling and gathered interesting facts, the majority of people likes traveling, and to wander one or the other places, from there only the Idea came to start the Travel Company. They decided to promote the traveling, benefits of traveling, and started offering tourist packages to common men. From the day one the only thing which should be kept in mind was the service part, and they kept that, start-up was done with domestic destinations, but now the company has tie-ups with international tourist destinations also like Dubai, Bali, Hong Kong, Singapore, Maldives, Mauritius, European Countries, etc. The founders and team are working on new Ideas to perform well and take their startup to the sky as they have no worries, have big goals and dedicated team. The only knot was convincing parents, those were expecting good jobs from these three. But finally, they convinced them and with their blessings started the RockingTrips. Rocking Trips by launching the online travel assistance option on WhatsApp has become the first travel company in India with this Idea of Assistance. 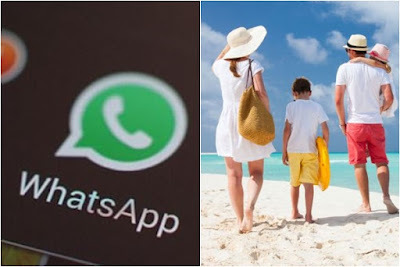 WhatsApp Travel Assistance is also a helping hand for foreign tourist arrivals in India as, traveler from any part of the world can communicate with the travel experts of Rocking Trips any time through WhatsApp, and can get instant responses/assistance. The Team is totally dedicated to take the venture to the skies and will comes out this year with a unique idea in travel industry.